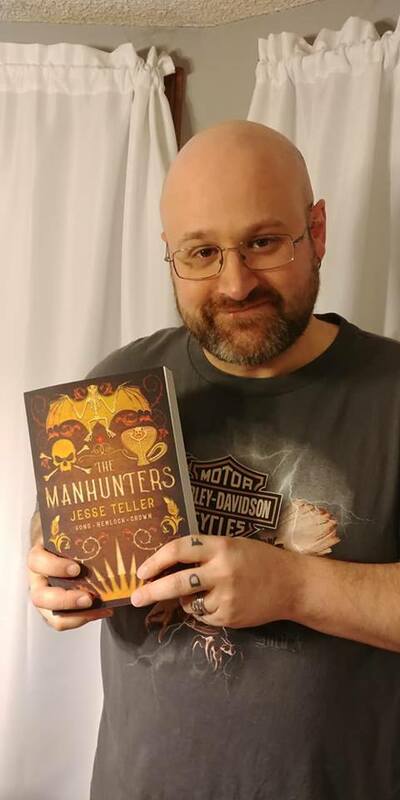 Win a print copy signed by Jesse Teller! Some of the darkest minds in Perilisc attacked Mending Keep, releasing all its prisoners. Former court wizard Rayph Ivoryfist calls old friends to his aid in a subversive attempt to protect a king he hates and a nation he loves. • Sample chapter from the author's upcoming series The Madness Wars starring Aaron the Marked. Immerse yourself in Jesse Teller's unique and mystifying world for a breathtaking tale of magic and mayhem. 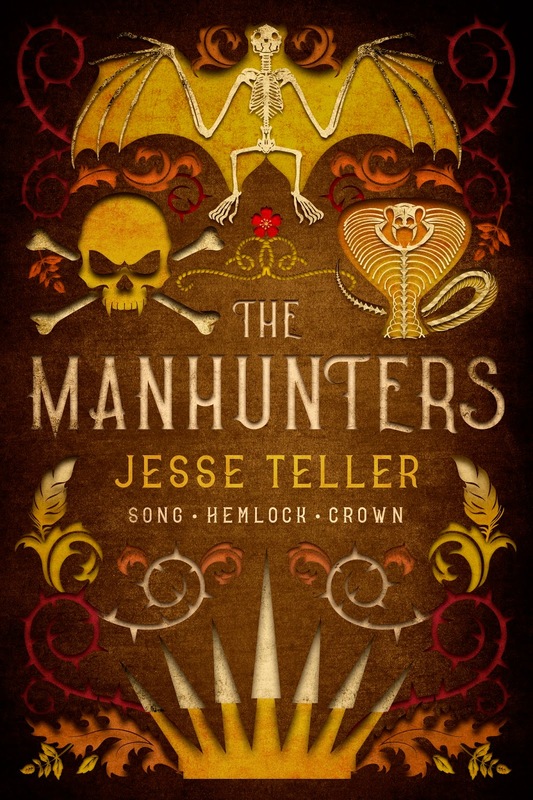 With the release of Crown, the third book in The Manhunters trilogy, the story is told. It is time to wrap up the drama of Rayph and his crew facing off against the worst criminals of the world. The crew has taken its last job and the fate of the nation rests now in the hands of the Hope of the Nation and those he trusts. The end of this saga brings with it a sense of closure for me that I feel in my very bones. A resolution has been found where there was none before and a part of me can rest that has been working for a long time. It was 2002 when I first told the story. A game of Dungeons and Dragons inspired it and created the characters. I have been working on it ever since. The concept for the story came to me at the release of the movie The Fugitive with Harrison Ford and Tommy Lee Jones. This was in 1993. In the summer of 1995, the character Konnon was born and with him Glyss. 1995 also inspired Fannalis and his brothers, with the Forest of the First Tree, where they called home, first showing itself to me in 1996. There are elements in this story that close out emotional issues I fought with for years. Konnon’s childhood and his salvation mimics the saving of my life by my wife and her family. The curse of the Thorn Brothers represents the struggles of getting my work out into the world of the reader. Smear’s and Trysliana’s love is the cradle of my love with my wife. The name Rayph Ivoryfist gave me my son’s name. The defeat of the worst of the enemies in these stories is the symbolic defeat of the abuses of my past. With the rise of Saykobar in Hemlock, I embraced the darkness of my work and its supremacy. Dreark going home. Thomas becoming king. Over and over again I can trace events of the series to things that bothered me about my own life and the way it was going. If our work is therapeutic, then The Manhunters healed me more than a little. This is not the only great accomplishment I found when October 5th 2018 came to me and the final book reached readers. I have now proven I can finish a trilogy in a timely fashion. It brings forward a promise I have made and kept with my readers that they will find completion in my work and they do not have to worry about falling in love with a story and being left hanging by a writer who does not respect them. The Manhunters is off my desk now and I can turn my attention to the rest of my work and the release of my next series. I can play with new characters, build new themes, and build upon the solid foundation these books provide for my world and my writing at large. All these things I am excited about, but along with these victories I have heartbreak to deal with as well. There were deaths I did not expect, fallen heroes and victims who will haunt me for years. Doors closed that will limit the stories I can tell and the characters I can use to build my world. The closing of the story means I must walk away from the band of heroes themselves, the amazing things they do and they way they exist as a family and a cohesive unit. Wonderful villains were killed. Dark, devious minds that are fun to play with and could provide the reader with many more chilling moments were brought to a close and clipped off by the Manhunters. With every word we write as novelists, we open a door and close one as well, and those ramifications will echo into my work forever. It is the end of an era of my work. A time I have had with my characters that I can never recapture. But this is not the end. The story has been unleashed. The tale of the dangerous band of misfits that hunt down the deadliest is out now. On October 5th, the story became real. It was born into the world. This is the beginning of the age of the Manhunters. And that, I could not be more proud of or excited about. Jesse Teller has loved fantasy since the age of five. It has gone from love to hobby to professional life. He now spends his time writing novels and short stories in a fantasy world of his creation. Here you can find his thoughts on the genre, samplings of his work, and his process in creating it. Jesse Teller lives in Missouri. He hasn’t always, but like storytelling, it snuck into his bones. Teller fell in love with fantasy when he played his first game of Dungeons & Dragons. The game gave him the ability to create stories and characters from a young age. He started consuming fantasy in every form and, by nine, was obsessed with the genre. 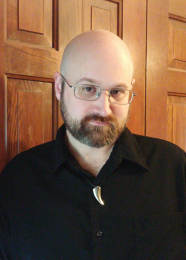 As a young adult, he knew he wanted to make his life about fantasy. His books explore violent issues without flinching. He lives with his wonderful, supportive wife and two inspiring kids. Over 1,000 pages PLUS Extras! This is an amazing trilogy! Dark, gritty and creative, no sparkles, just an epic journey for both the characters and the reader!